It was wonderful for Charlene to join me in Branson! Today was a very special day. 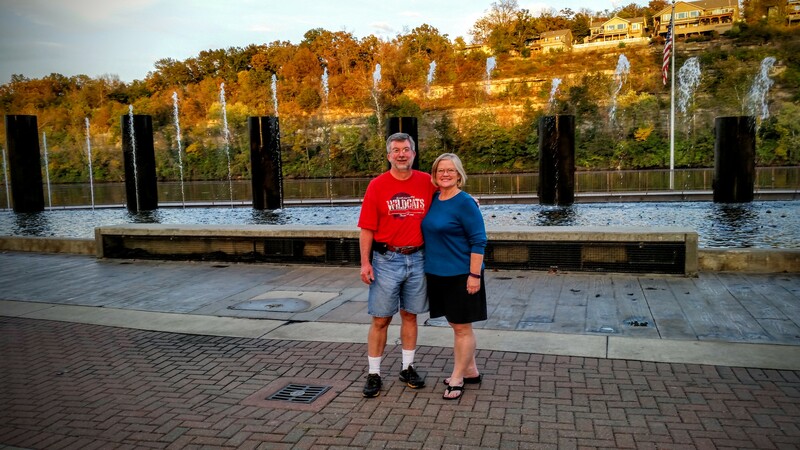 Charlene flew to Springfield, Missouri to join me in Branson! We enjoyed driving between the towns reminiscing about living in Missouri more than 3 decades ago. When we arrived in Kansas City, we were newlyweds and I was starting my Pharm.D. program. It felt like we had come full circle, now driving through the Ozarks together as a recently retired couple. 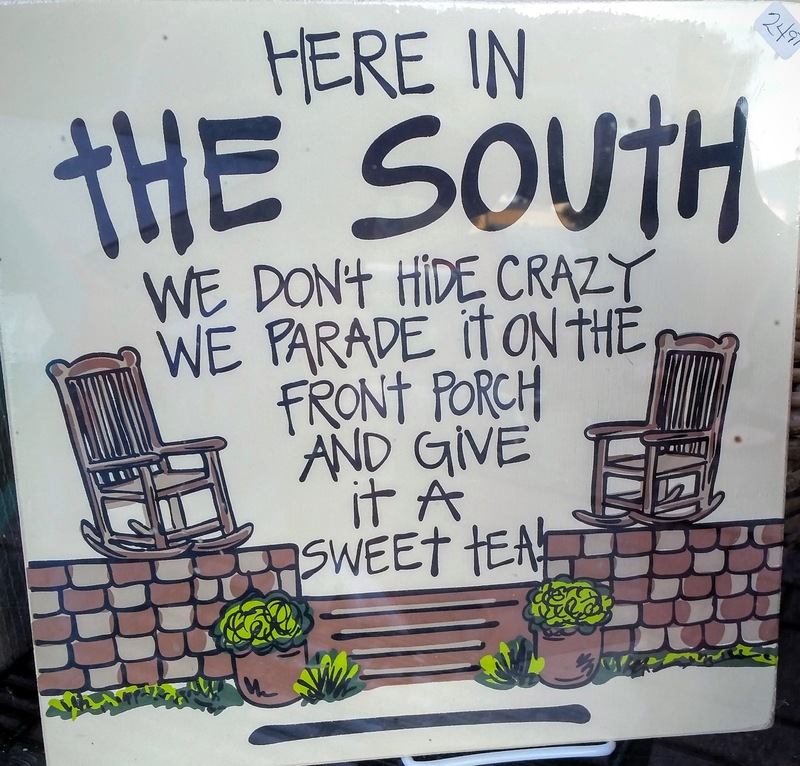 The Ozarks are definitely southern country! We enjoyed dinner together at a highly recommended independent hamburger shop. The burgers were fantastic! Next we drove to an area called Branson Landing. They had some nice shops and amazing fountain created by the same group that made the fountain at the Bellagio in Las Vegas. 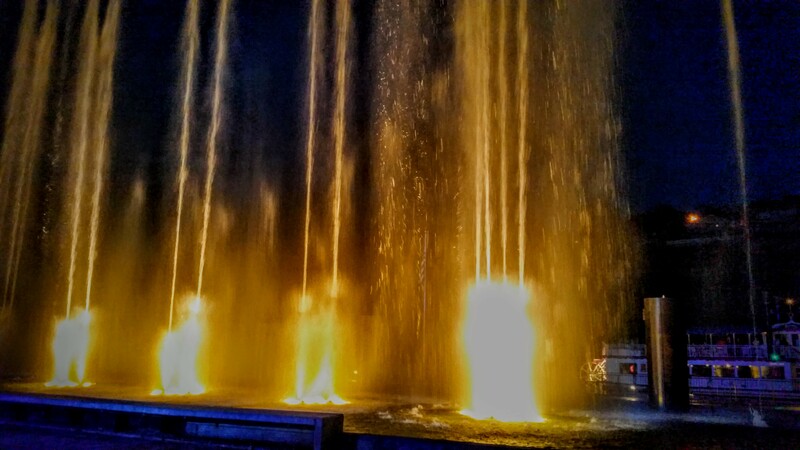 It was impossible to do justice to the fountain that incorporated water, flame, and sound into a very nice production. 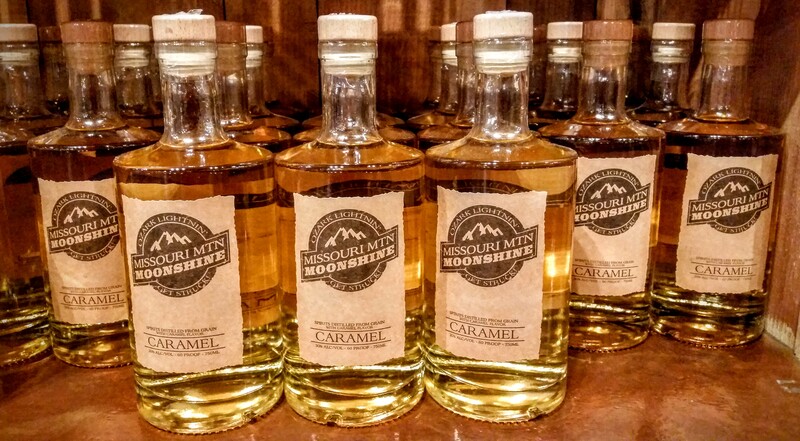 As we walked through the various shops we found a local moonshine store. We sampled 4 different flavors and picked Berry Moonshine. One of the fun aspects of traveling around the US is being able to discover various wineries, distilleries, and breweries. The local moonshine was flavorful. We picked berry flavor to buy. 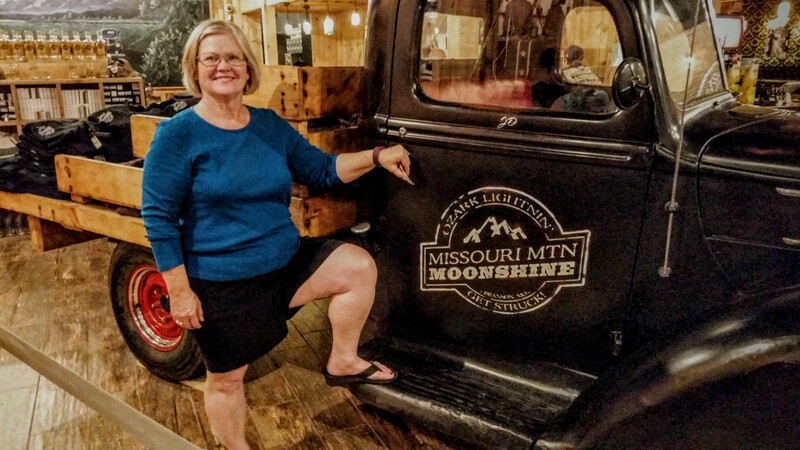 Charlene enjoyed the moonshine truck!